For some reason, I feel like I’ve already done a post about her work, but quickly scanning through the blog archive, I can’t find that I actually did. 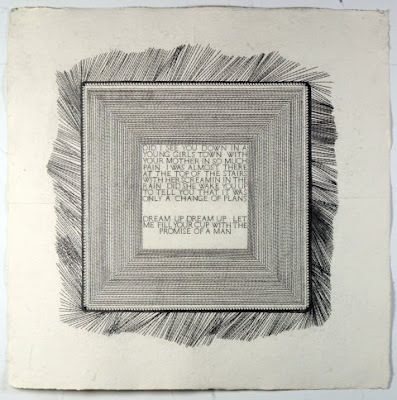 Nevertheless, Alyssa Pheobus has been producing some compelling large-scale text drawings, created using graphite on paper. I really enjoy the contrast between the mechanical rendering of the drawings and the slightly uneven surface of the cotton rag paper.